Welcome to the Vincennes University Bass Fishing Club Team Webpage! Feel free to explore our site, learn about our club, and contact any of our members! The Vincennes University Bass Club has been founded by your current President, Jarred Coffing, a Conservation Law Enforcement Major here at Vincennes University. This club has been founded on the basis of a group of people that love to fish, and inspired by professional angler Shad Schenck (founder of the Purdue University Bass Club). Our club offers opportunities to everyone, people that love to fish, and not just fish competitively. 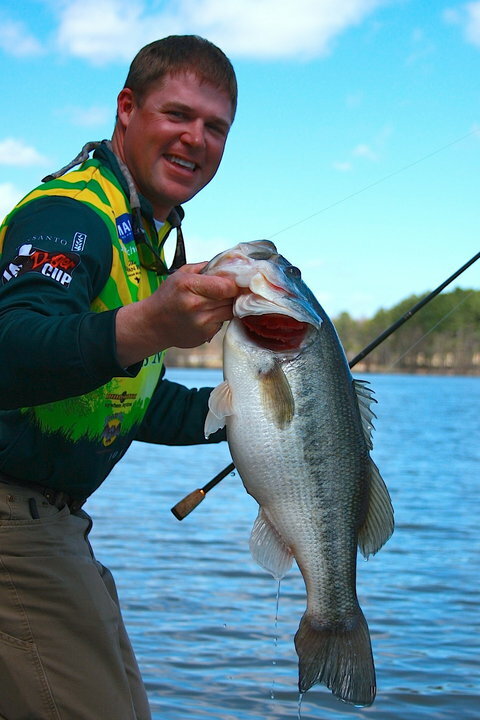 We hold club tournaments that award winners with purely bragging rights, to cash prizes, to fishing your way into world renowned tournaments all over the country. We are sponsored by many companies all around the continental United states, from Florida and Texas, to Michigan and even our own home town local Indiana Companies. Head on over to our sponsors page to check them out and explore the options that they offer. To learn more about us, express your thoughts and opinions, would like to make a donation to help out the club, or just would like to get into contact with one of our members, please feel free to contact any of our officers at any time. Please continue to check back regularly for updates. We appreciate the interest you express in our club, as we are a growing team and love all the support we attain from outside influences. Be certain to subscribe to the RSS feed to keep up to date on all the latest news. Become a member, get your jersey, and win some tournaments!